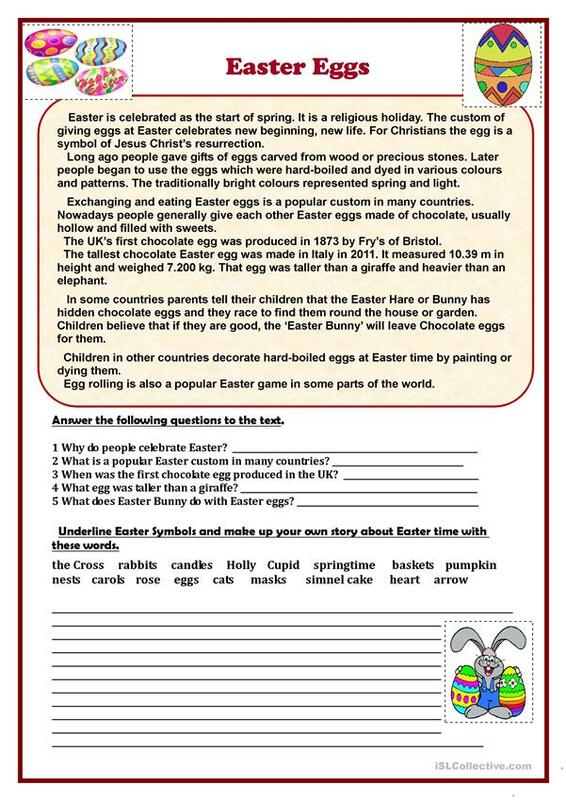 This worksheet contains the text about Easter eggs. Students read the text, answer the questions to it and then make up their own stories about Easter time. Hope you find it useful. The above printable, downloadable handout is best suited for high school students, elementary school students and adults at Elementary (A1), Pre-intermediate (A2) and Intermediate (B1) level. It can be used for working on your class' Speaking, Reading and Writing skills. It centers around the topic and words of Easter and Holidays.